Every day since Monday the temperature has risen above 6C. There was some rain, but fairly light and mostly at night with just over a centimeter over the week. Very windy last night and today, although it has calmed somewhat as I write this. This is my first Six on Saturday this year, so here goes with six things though I had to resort to including a house plant as there is not much going on. 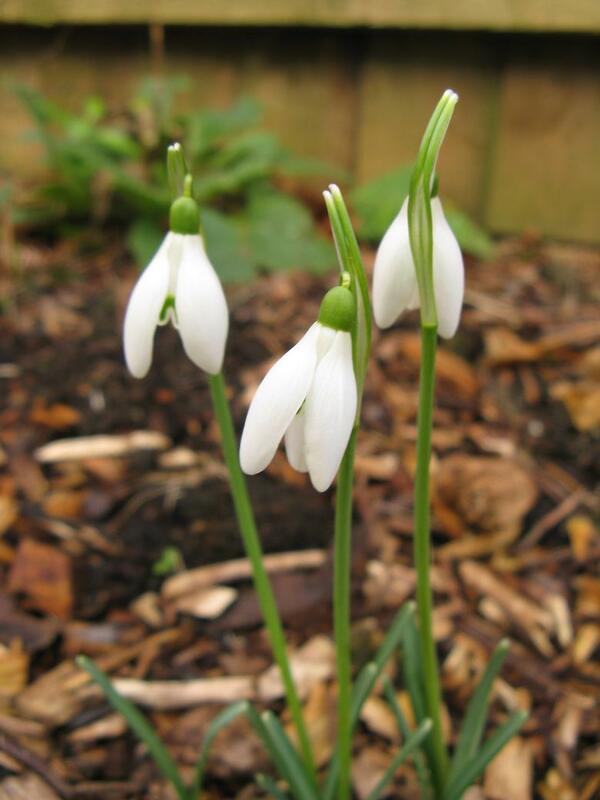 I have a few clumps of snowdrops at various stages of development. These are the most advanced and are pretty much open now. 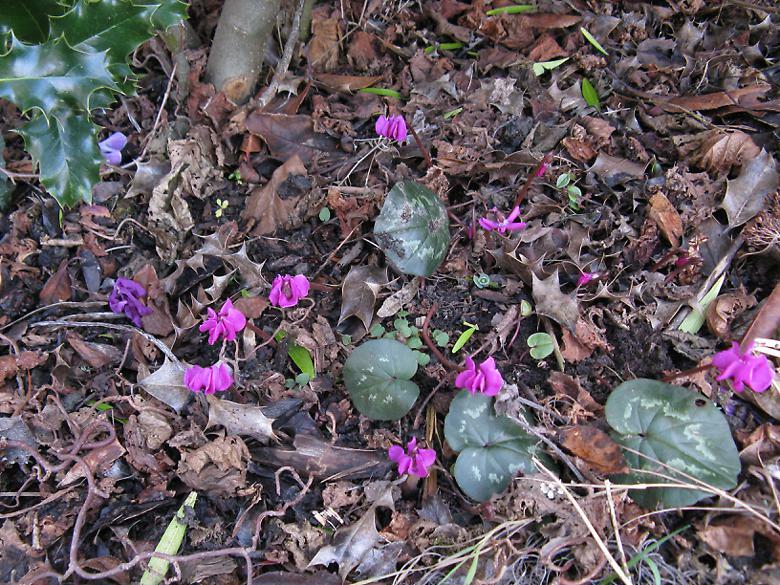 This Cyclamen coum was bought last year and it is doing very well. It almost looks like there are two there. 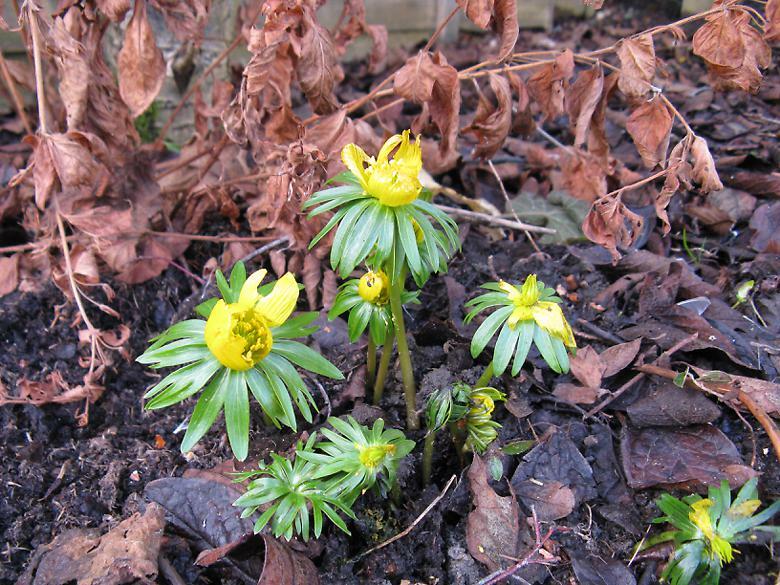 I bought two pots of Eranthis hyemalis this year, as the ones from last year don't seem to have survived. I haven't seen too many of these around, so maybe they don't grow that well, or perhaps they are out of fashion. I'm hoping that they survive and form a decent sized drift. I can't say I like the Hellebores much. 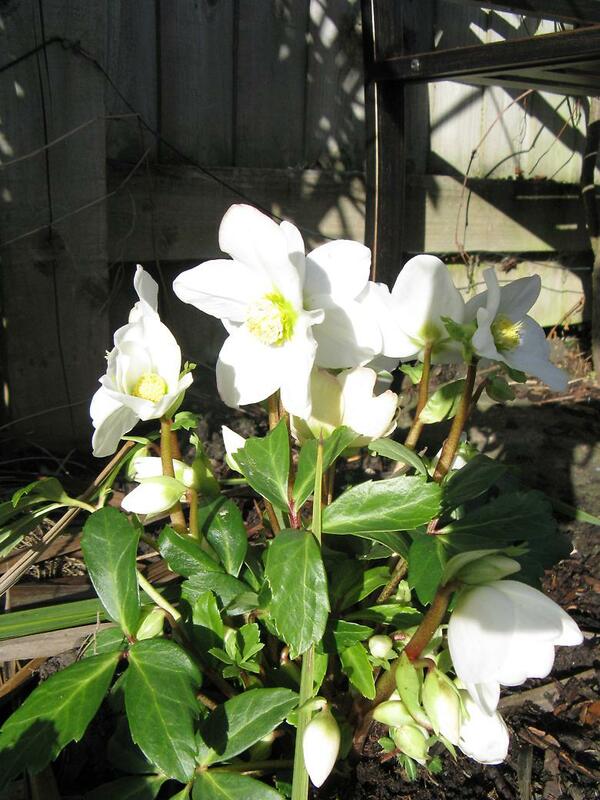 The white variety is the best in my opinion with flowers that can be seen well from a distance. This is again a replacement for the one that doesn't appear to have survived from last year. If this one doesn't survive, then that is it, no more! 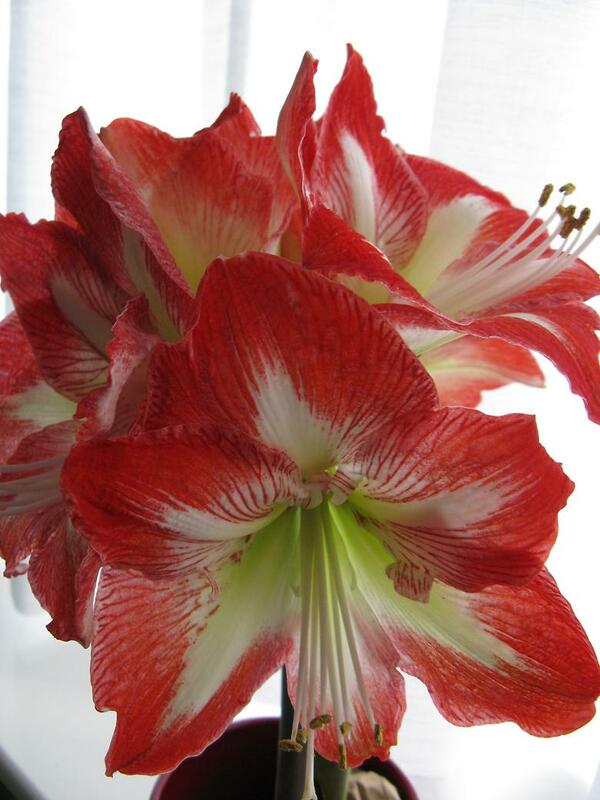 I got this just before Christmas for indoors and the flowers have opened this week. It is more lovely than I was expecting. I relented and decided to overwinter the 'Wendy's wish' again via a cutting. I took this quite late and it took longer than usual for it to root in water. This was potted up last weekend. It had a hitchhiker - a little caterpillar. 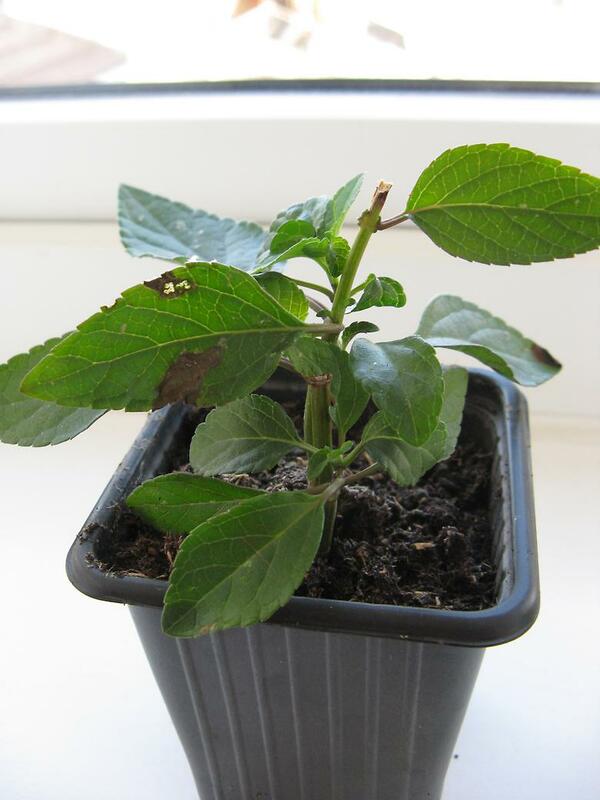 That's it for another week, to see more gardens in six bite sized portions head on over to the Propagator blog.